This post was written by NobleHour Special Contributor Natasha Derezinski-Choo. The season’s spookiest holiday is just around the corner, but let’s not forget that the scariest things in life don’t come out on Halloween night. Can you imagine what it would be like to not have have a house, to not have food, to not have clean water, to not have a school to go to, or not to have a family? Facing life’s toughest challenges and uncertainties is scary. This Halloween, apart from the ghosts and the jack-o'-lanterns, try to imagine what really scares you and find ways to impact your community and help people in dire situations. Why not celebrate this year with these service ideas? Costume Event Fundraiser: Host a Halloween party and ask your friends to each bring a small donation for a local nonprofit. If your school doesn’t allow costumes, see if this year the rules can be broken for a good cause. Talk to your principal about letting students come in their spooky attire provided they donate to your fundraiser. If every student in your school donated a dollar, or even a quarter, how much could you raise while still having fun? You could even expand the event by having a whole week of fundraising with a Halloween-related theme for each day. 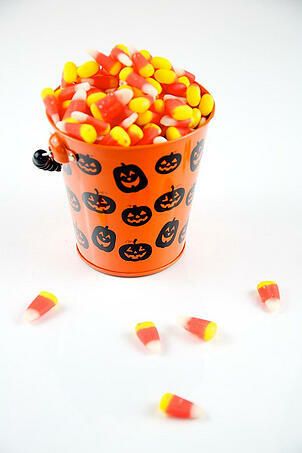 Neighborhood Trick-or-Treat Food Drive: Trick-or-treating is a precious memory. For me, I always remember my cousins and I precariously huddled together, walking up to the houses with the scaries decorations (and the best candy) only to run back down the driveway screaming at whatever creature had popped out as us. However, it was all worth it when we returned home with sacks of candy. But with all those bags of candy, I never finished them all. Instead of collecting candy for yourself, help someone in need by asking your neighbors to give you canned and dried food when you come knocking on their doors. Try to get as many peers to participate in your efforts to greater the collective impact of just one night of trick-or-treating. For tips on how to start a program like this in your neighborhood, read about Free the Children’s We Scare Hunger Program. Donate a Costume: Bring the fun and scares of Halloween to someone in need by donating old or outgrown costumes that you don’t need anymore. Pumpkin Crafts: A fun way to celebrate Halloween is by decorating pumpkins. Share this experience with others by volunteering to help children carve their own Jack-o-Lantern. You could read stories to the children about Halloween and make Halloween decorations out of construction paper if the pumpkins are too messy. You could also volunteer at a senior citizen home and decorate pumpkins with them. These crafts could be carving up the pumpkin to create a traditional jack-o'-lantern, or just decorating pumpkins on the outside with paint, glitter, ribbons, etc. and putting them in the seniors’ rooms. Paint half your pumpkins black and create a large checkers board to play pumpkin checkers. The smaller pumpkins are ideal for these types of projects because they are easier to work with, less expensive, and everyone can have one. “Trick or Treating for UNICEF”: Beginning in 1950, children have been collecting spare change on Halloween night to collect money to help UNICEF provide basic needs for children worldwide. The first campaign, started by a group of schoolchildren in Philadelphia, raised $17, but in the 60+ years of the program, children trick-or-treating in the United States have raised almost $160 million. The program has not only been successful to help children abroad, but it educates children on global issues; participating in the program “has given US children, along with their parents and teachers, the opportunity to learn about their peers worldwide who are truly in need” of necessities such as “ medicine, better nutrition, safe water, education, [and] emergency relief.” This program is about children helping other children in the world. To find out how to volunteer this Halloween through this program, click here. Halloween Safety: Halloween is fun, but it’s also important for children, especially younger ones, to be aware of how to be safe while walking in the streets at night. Educate youngsters by creating a fun presentation about Halloween safety. Perhaps design a skit about what to do and what not to do. Be sure to emphasize points like staying in a group, crossing the streets carefully, denying invitations into people’s houses, and staying on streets you are familiar with. Plan a safe Halloween event by hosting Halloween events where children can have fun, be scared, and stay safe. Here’s an example of a project done by one high school: “With the goal of providing a safe environment for children to go trick-or-treating, Sycamore (Ill.) High School Student Council hosts a unique activity on Halloween. They contact a local retirement center and arrange to have trick-or-treaters visit on Halloween. Student council members provide candy to participating residents and decorate their doors to indicate which rooms children may visit. The trick-or-treaters are escorted around the building by council members.” Similar project ideas can be found here. 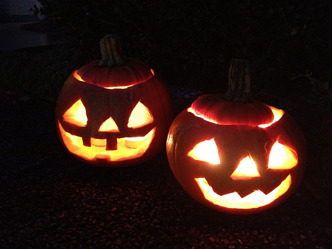 What volunteer service projects will you participate in this Halloween?